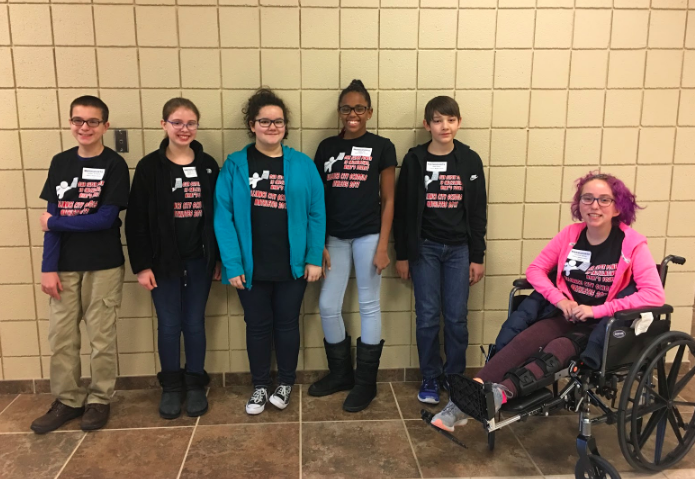 On Saturday, February 10th, students from Alliance Middle School competed in the Chapter Competition at Sippo Lake for MATHCOUNTS. The team representing AMS finished in second place and Jordan Schwartz finished third place in individual standings. Caroline Denny, Keagan Serrano, Gabby Hill, Anna Eversdyke and Seth Dillon were the other competitors representing AMS. The students were coached by Juliann Trevorrow. MATHCOUNTS is a nationally recognized, highly competitive math competition which is done around the country with a national competition this year in Washington D.C.